4th Street, S.E. and Water Street, S.E. We are conveniently located near several public parking lots. Valet parking available. 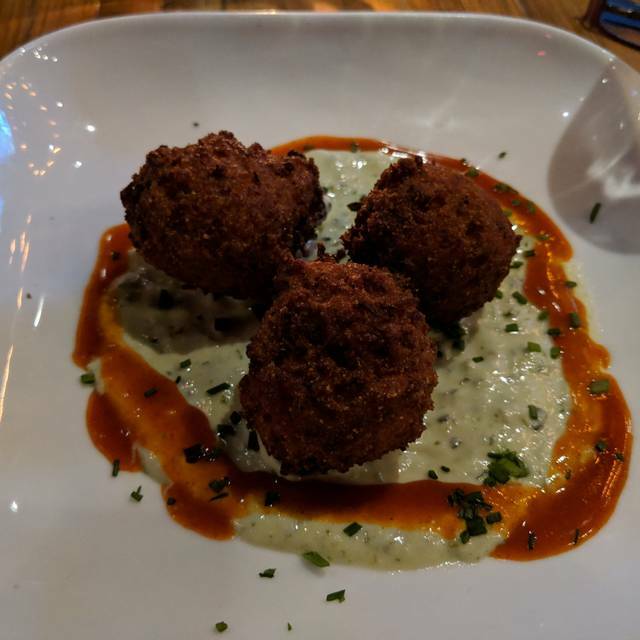 Due South offers creative cuisine inspired by the Southern states with an emphasis on in-house smoked meats, locally sourced seafood and farm fresh produce. Best wings I've ever eaten. The main courses were tasty. Portion size varies based on entrée. Beer selection OK. Restaurant is noisy. Overall we had a great experience at Due South. 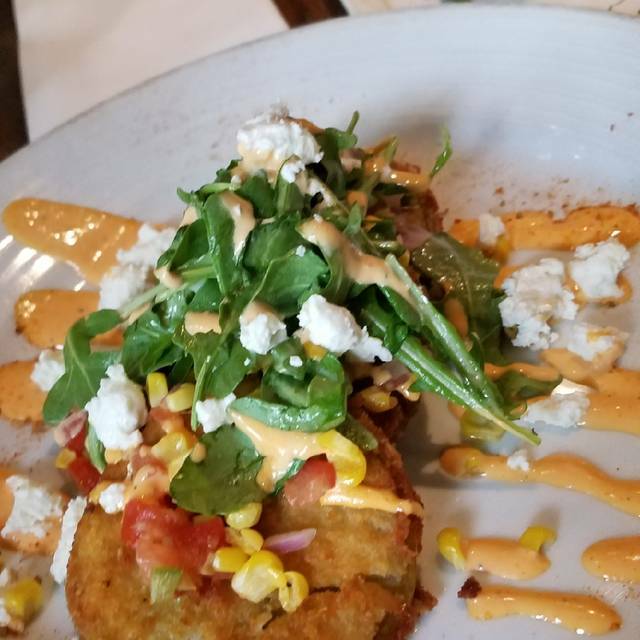 The food was delicious, the atmosphere was great, and our server was fantastic (I overheard her telling the table next to us that it was her first night and I never would have guessed). The only complaint I have is that when I went to the restroom, someone earlier clearly must have had an "explosive" experience and there was definitely evidence of it splattered on the floor and the lower part of the wall. An employee came in while I was there to put a new roll of toilet paper in that stall and somehow didn't notice the mess. Would I go back? Yes. Would I use the restroom there again? Probably not. Awesome food and drinks. Great draft beers. The collards were some of the best I’ve tasted. Our waiter Daniel was wonderful, he was the reason we tried the collards. Thanks Daniel! Ordered starters and entrees for brunch, but it all came at once and was cold (even though we ordered hot dishes). We were rushed out by our server as well, which really put a damper on the morning. We really loved the sausage biscuit though and would order that again. 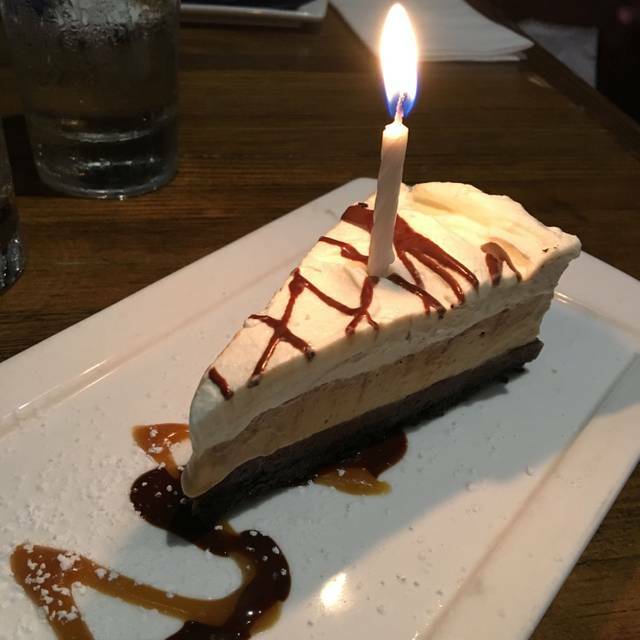 I celebrated a birthday party at Due South with 16 people in my party. I made my reservation over 3 months ago. Seating was a huge issue!! Any time I dealt with the management, Sean or Brianna the hostess they were unfriendly and short with me. The food is always good but it was if the hostess (Brianna) wanted to punish me for having that number of people. She told me and other guests in my party very rudely that we could not sit everyone at the table. 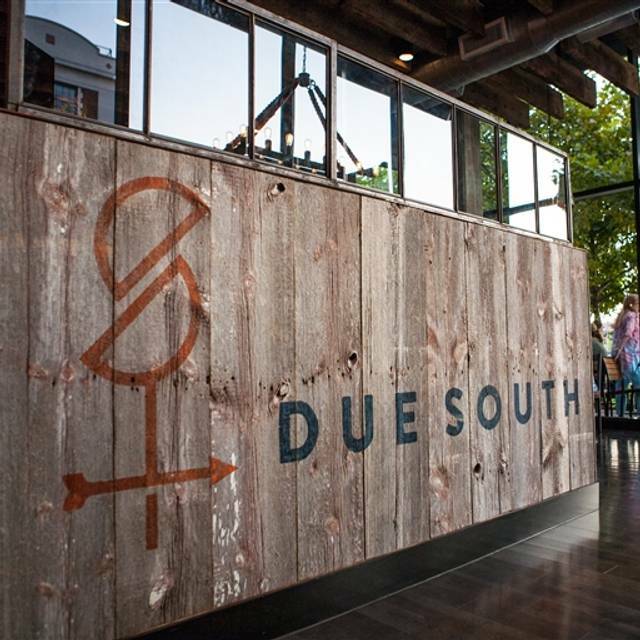 I have been to Due South numerous times and found the servers are always friendly, managers not so friendly. Sierra found a way to have all of my party at the one big table. I really appreciated her making it work so we could all sit together. We spent a lot of money at Due South and she really saved the day! 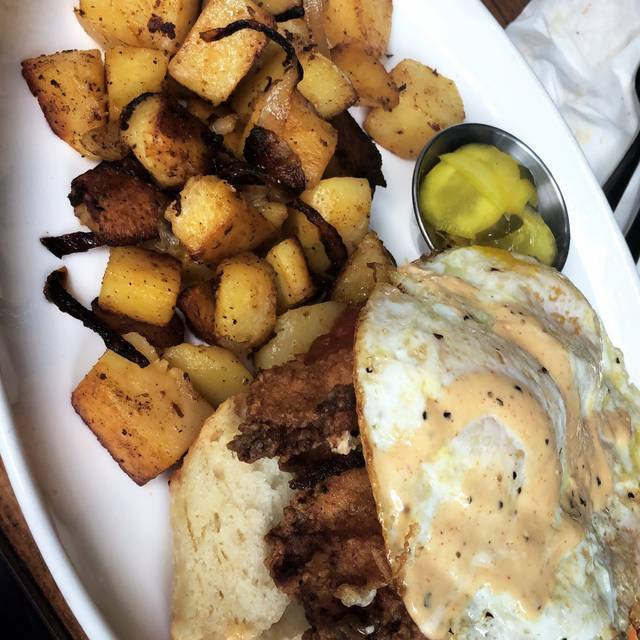 This was my second time coming to due South, however my first time coming for brunch. The food was wonderful the service was great would definitely recommend it to others. My third time to Due South and again a great experience. G. provided exceptional service and was extremely attentive. The food was delicious. This is definitely my go to place for lunch and weekend brunch! They should have told us before sitting that they were out of literally half the menu. Food was quality, though not exceptional. The guys in our party split the Pitmaster’s Platter. They commented that the pulled pork was somewhat fatty, but the brisket was pretty good. 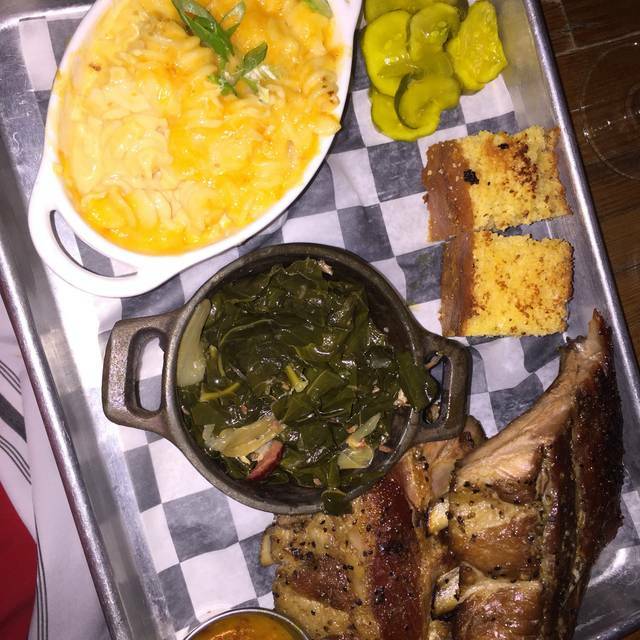 They didn’t have much to say about the sausage, but REALLY enjoyed the ribs. I had the shrimp & grits - pretty good, but spicier than what I’ve had elsewhere. The other gal in our group had the Ricotta Gnocchi & Short Rib Ragu. THAT was amazing (she let me try it). The lone child in our party had mac & cheese and baked beans. Both were pretty bland - I expected much more bbq flavor in the beans. Service was just ok - he wasn’t rude, just not overly attentive. And for those beer afficianados reading this....the Due South beers on the menu are NOT theirs (i.e., not brewed by them - or any other small craft beer place, either). For some reason, they put their names on some rather “standard” beers. When we arrived the restaurant was not busy. We asked to be seated in a booth in the main restaurant but we were seated in a small room at the back of the restaurant. We were seated at the exact same table the last time we visited. It was cut off, small and loud. Would have been nice to experience the main restaurant. There was no one seated at the bar but our server said the 15 minute delay getting our drinks was because the bar was backed up? Not sure what that was all about. Food was great. Not sure if we will give it another try or not. A little frustrated about how the restaurant honored the reservation...we arrived on time, many hours after the Nats game season opener was over. Restaurant was busy, but not overcrowded. We were led by a hostess to a nice table in the corner, only to be asked by hostess, without explanation, to move. Apparently it was to seat two other guests w/o a reservation (my dining companion overheard them saying to each other that they should have made a reservation). We were moved to a table right next to the door to outdoor seating, where it became clear that we were going to be subjected to a draft every 30 seconds as servers came in and our. When we asked to move, we were told that the booths were for “people with reservations,” and were seated directly next to the original table, despite several other open tables to the left, creating a very awkward situation for all. To their credit, the diners at our original table apologized and asked us if we wanted our table back, which we declined of course. We had a nice time after that, and the food was wonderful as usual. But why be an Open Table restaurant if you are going to treat diners with OT reservations like second-class citizens? I’m also a repeat customer of this establishment, and it was kind of embarrassing with my out-of-town guest, with whom I really talked up the restaurant. Clean and spacious, good vibe. The most of food was not bad compared to price. But one of our service was horrible. I think I won’t recommend to go there again..
Food and drinks were great. Will visit again to try more menu items! Excellent food and service. Love this place. It’s very popular so make a reservation ahead of time. Carolina cuisine and you'll be happy dining here, either at lunch or dinner. The food is consistently well prepared. They do a busy lunch business, so suggest reservations. The food was good but the services was lacking. We waited quite a bit during courses and was not asked if we wanted a refill on drinks until the end. My husband got the brisket and he said that it was dry. The crawfish dip was delicious and my burger was good. Great place to have dinner as a family. We had all the appetisers family style and it was a great way to experience Due South's catering skills. Glasses were dirty. Asked for clean ones and staff fought against it. Waited over 10 min before anyone came to out table. Ppl around that came in after us that weren't even seated at a table we're getting their orders taken. After almost 15 min waiter finally acknowledged us and still didn't ask for our order. We decided to leave due to extremely poor service. Not sure if I will return. And I even had a reservation. We had reservations and came for Brunch. We had to wait a little longer than expected it was just that crowded. My friend loves Eggs Benedict; However, she is super hard to please as she is particular about it being done exactly right. After two years of seeing her disappointed if they egg doesn't break perfectly or the sauce being basically water consistency. She finally was super happy because the Egg Benedict with the pork is amazing and perfect. The service was excellent they are on top of the mimosa refills. Over all, great experience and will definitely be back to try all the other menu items. Good restaurant and enjoyed the food. Consistently good food and friendly service. Definitely a go-to place when in Navy Yard. 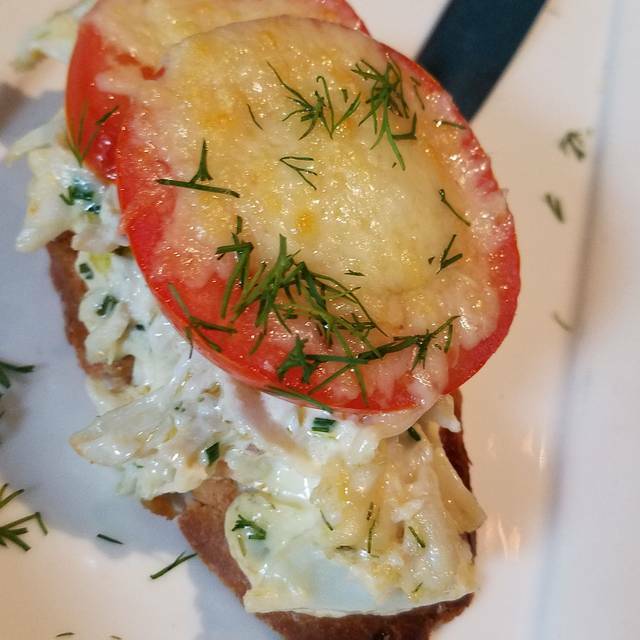 Relaxed atmosphere, mature crowd, excellent food. Everything was good our server was amazing! I’ve been before and had a better experience in the past. The food/service wasn’t as good as the last few times. Jane [?] was an amazing server throughout the entire bottomless mimosa. She was attentive to us! This was the first experience and we will definitely come back. Our server was outstanding, very personable. The food was excellent, shrimp n grits the best, as well as the ribs. 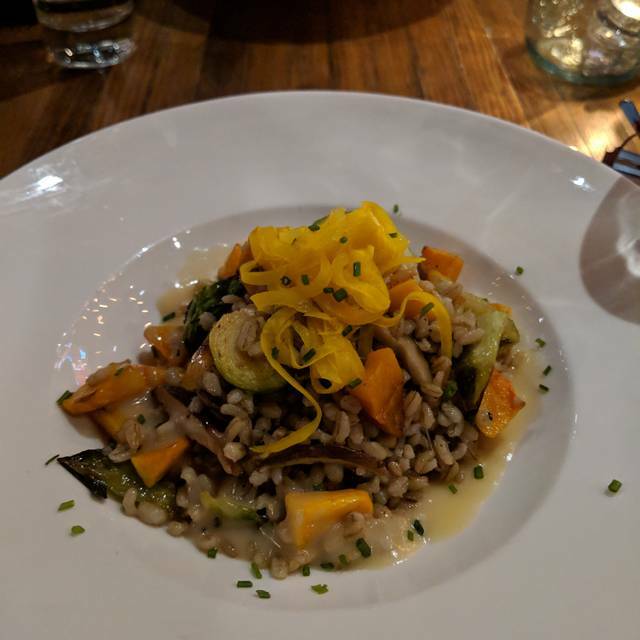 As always, our server was knowledgeable about gluten free and dairy free, so she made some excellent recommendations. My rack of ribs was tasty, succulent and the meat almost fell off the bone. Food was very bland and a bit pricey for it not to be appetizing. The service was ok but definitely would not visit again for food! 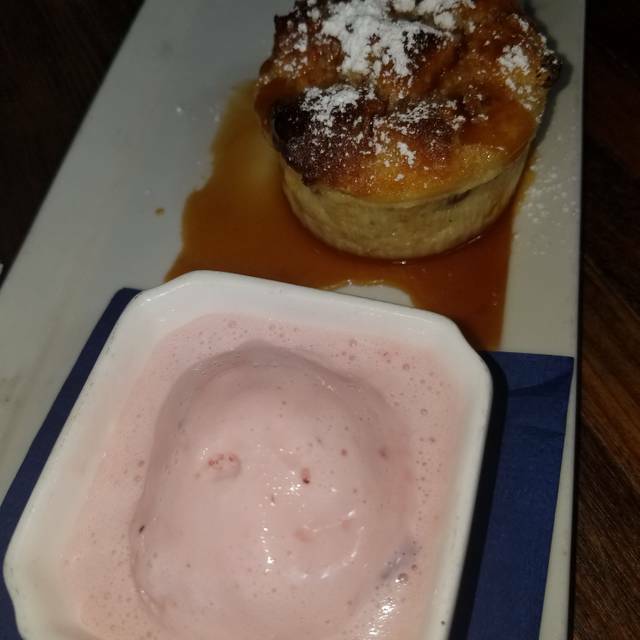 I was looking for somewhere nice and new to take my date and was able to find Due South when I arrived we were great nicely and sat right away and the view was really nice. Our server Maggie was amazing and the food and drinks were just as fabolous. The prices were reasonable and the food portions were good but it would be nice to have a bit more vegetables and fish I hope to come back when it gets warmer with friends or another date. I did not like the fact that there was a mid-day only menu. Our party of six did not like the fact that we could not order from the main menu until 5pm. When I made my reservation online it would have been nice to mention the mid-day menu and the time limits.